A Praça 5 de Outubro is one of the noble nightlife places in our city. The Daiquiri bar awaits for you. Find fresh beer and shots or wishkys. The bar also has a large terrace that allows you to bring your friends and experience the best of the nightlife in Caldas da Rainha. If you are thinking on having a great night experience at Caldas da Rainha nightlife come to this bar/pub at the Praça 5 de Outubro. And if ou want to use your computer, tablet or other gadget this bar also has the free Wireless system. 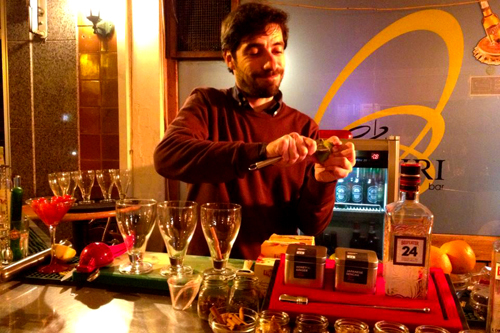 Come and visit the bar tonight!